$5 cheeseburgers. $3 pizza slices. $2 hot dogs. $5 beers. Not a bad menu for any professional sporting event, let alone the Super Bowl. Atlanta’s Mercedes-Benz Stadium will reportedly keep food and drinks prices relatively cheap during Super Bowl LIII—which will certainly come as a great relief to people who can spend a minimum of $3,387.50 per ticket. ESPN reports the stadium will continue its “Fan First Menu Pricing” during the February 3 championship, even doing away with separate sales tax to make payment easier. It’s heartening to see such moderately priced concessions catering to the families who attend the Super Bowl each year as a fun Sunday outing. The $1.5-billion Mercedes-Benz stadium has adhered to this “Fan First Menu Pricing” since it opened in August 2017, “a vision brought forth by billionaire Falcons owner Arthur Blank.” A Falcons executive said that despite lower food prices as compared to the previous Georgia Dome concessions, spending per person went up 16 percent. Atlanta Falcons CEO Rich McKay tells ESPN the menu pricing was written into all the stadium’s bids to host major sporting events, including the Super Bowl. Compared to last year’s Super Bowl host, U.S. Bank Stadium in Minneapolis, a hot dog is $4 less expensive this year and beer is $1.10 cheaper per 20-ounce cup. 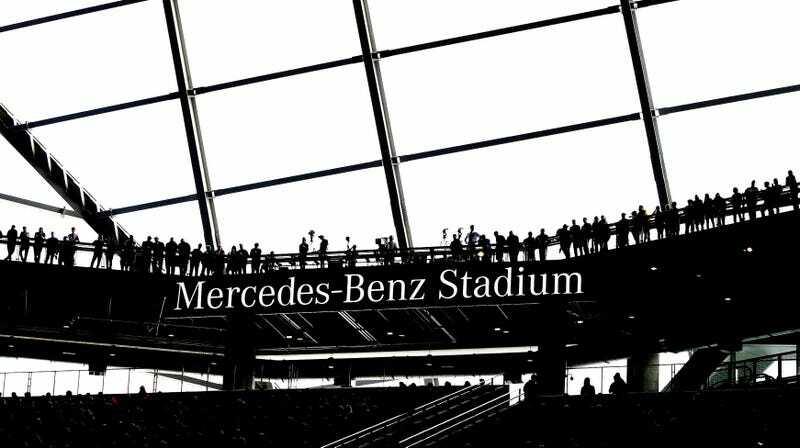 If fans are in search of a Chicken Deluxe Sandwich and waffle fries on February 3, though, they’ll be out of luck: Sports Illustrated reports the Chick-fil-A at Mercedes-Benz stadium will be closed that day, as it is every Sunday. Does mixing different alcohols increase your risk of a hangover? Ask The Salty Waitress: What should I consider before proposing in a restaurant?